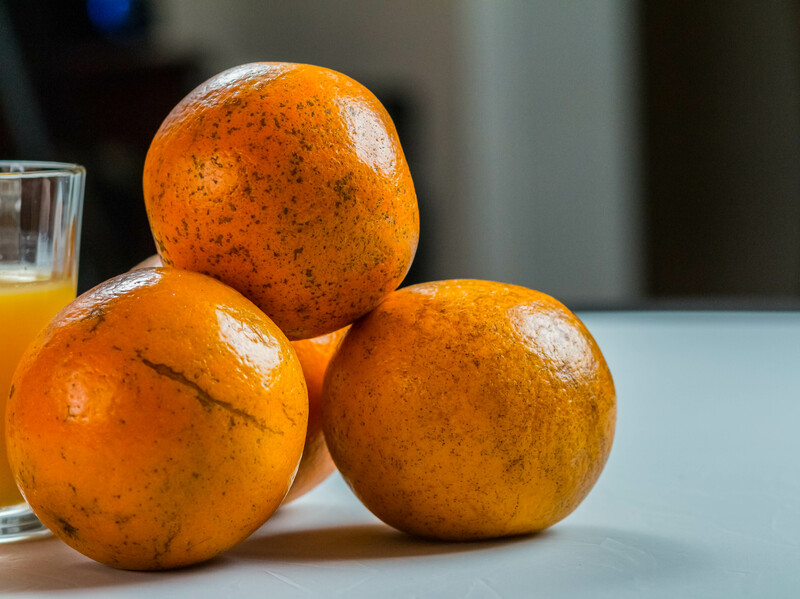 Sweet, juicy oranges make a delicious and healthy snack or addition to a meal. A whole orange contains only about 85 calories and has no fat, cholesterol or sodium. And, of course, “oranges are well known for their vitamin C content,” said Laura Flores, a San Diego-based nutritionist. Oranges may boost your immune system and improve your skin; they also aid with heart health, cholesterol levels, and other issues. Oranges may additionally help reduce the risk of respiratory diseases, certain cancers, rheumatoid arthritis, ulcers and kidney stones. Orange juice is also packed with nutrients but does not contain the fiber of a whole orange. Orange pith, the white substance between the peel and the flesh, is high in fiber. Furthermore, it is easy to consume more calories when drinking orange juice than when eating an orange, warns the Centers for Disease Control.